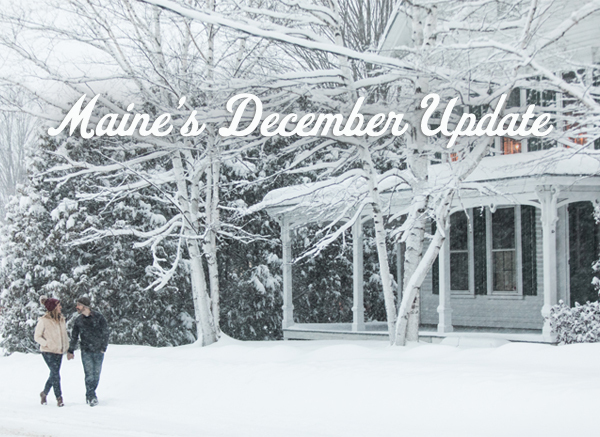 December 2018 – Early snowfall has brought winter front and center in Maine this year. This is a season to revel in, to get out and enjoy the cross-country skiing in the northern part of the state or to plan a midwinter trip to the Camden Winterfest. 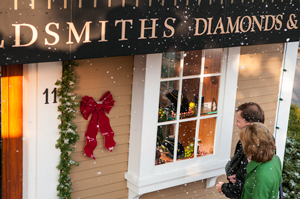 Bundle up and stroll to some new shops in downtown Portland and explore the latest crop of restaurants. Getting to Maine has never been easier, thanks to expanded Amtrak service. For writers, editors and bloggers looking for short-lead news, there are immediate details under Happening Now. Those in search of longer lead news can scroll down to the Looking Ahead section. It’s now a lot easier to reach coastal Maine on Amtrak’s Downeaster passenger rail service. The Downeaster has added two more round trips between Brunswick and Boston each weekday. The round trip trains all run from Boston to Portland, Freeport and Brunswick, and back. The expansion brings the weekday total to five round trips, with four on weekends. Visit Amtrak Downeaster for more info. The Black Box, Portland's first retail incubator space for small businesses, has opened on Washington Avenue. Made from repurposed shipping containers, the mission of The Black Box is to support small business owners in testing their products or services to a new market for the first time. All spaces are currently filled and open for business. Current tenants include The Cheese Shop of Portland and All Those Who Wander. Visit The Black Box. For those who want to give the gift of Maine, the new Experience Maine Gift Guide makes things a clickable experience. 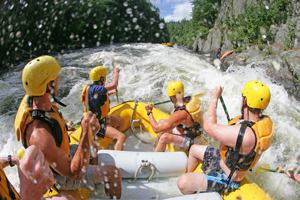 The new site curates experiential gifts, from a Maine Oyster Farm Tasting Tour at Nonesuch Oysters to Half-Day Rock Climbing with Equinox Guiding Service and Whitewater Rafting on the Kennebec River. Visit the Experience Maine Gift Guide. Portland continues to welcome new restaurants this fall. The Maine Oyster Company has opened at 38 Portland Street with oysters, lobster rolls and soups, paired with craft beers, wines and prosecco. Crunchy Poké Bar at 426 Fore Street has signature bowls featuring fresh tuna, unagi, salmon and lobster. For those thinking beyond the bowl, there is a range of burritos made with spicy scallop, tofu and lobster to choose from. Lio at 3 Spring Street offers a wide-ranging menu in a bright space, including a five-course chef’s tasting menu. The menu features dishes such as a foie gras torchon, roasted bone marrow and crispy octopus, as well as a broad wine list. Inspired by Alpine mountain huts, the four huts at Maine Huts & Trails won’t require you to exactly rough it. They were architect designed with vaulted ceilings and have leather furniture, woodstoves, and walls of windows in the common rooms. Every hut is equipped with hot showers, toilets, heated bunkrooms and gear-drying rooms. 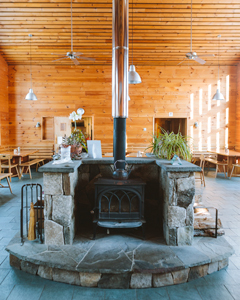 They’re also off-the-grid eco lodges and carefully situated along an 80-mile trail system. Set off this winter on cross-country skis or snowshoes on your own adventure, or arrange to join a multi-day guided trip from hut to hut. Visit Maine Huts & Trails for more details. Camden will host the annual Winterfest from February 2-10, 2019. 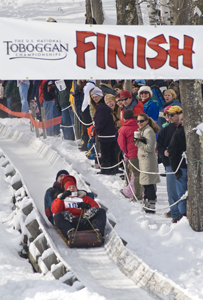 The multi-day festivities include snow sculptures and ice carving contests, as well as the U.S. National Toboggan Championships at the Camden Snow Bowl. A polar plunge and freestyle skiing competitions are also part of the event. Visit Camden Winterfest. The winter exhibit at the Bowdoin College Museum of Art is “Among Women,” running from October 11, 2018, to April 7, 2019. The exhibition explores the artistic portrayal of women in the United States over the last three centuries. Featuring outstanding portraits in all media from the museum’s permanent collection and several important loans, it examines the myriad ways that artists have represented women in the history of American art. It includes works by John Singer Sargent, Jocelyn Lee and Gilbert Stuart. Visit the Bowdoin College Museum of Art for hours and directions.